Food is an important part of any con; 6 hours of sleep, 2 meals, and 1 shower each day is the bare minimum anyone should get each day at the conference. (And in life in general.) While you’re on your own for the sleeping and showering, we can help you find some food! Peachtree Center is a common jaunt for most con attendees looking for quick and cheap food. This year, Peachtree Center is undergoing renovations, but nothing that should impede attendees from getting their coffee fix. Speaking of coffee, Caribou Coffee in Peachtree Center is running special con hours this weekend. 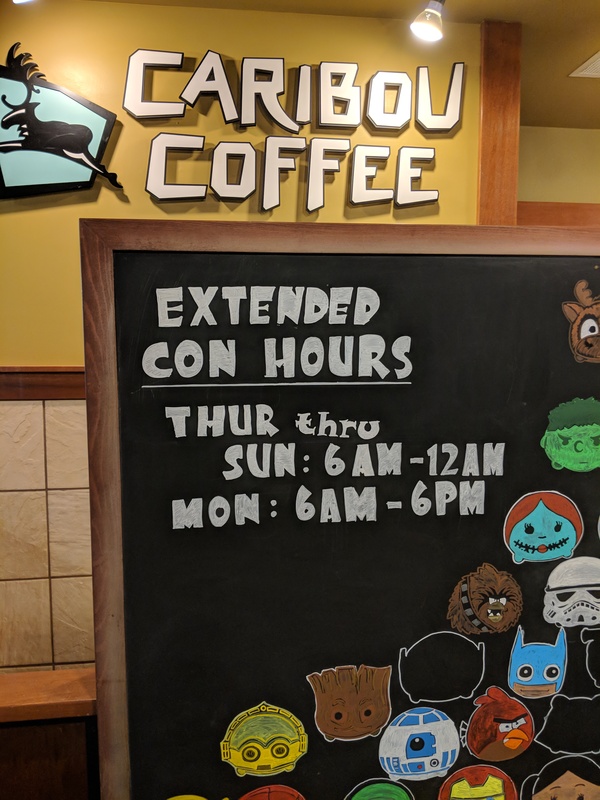 Thursday through Sunday they will be open from 6AM–12AM. On Monday, they will be open 6AM–6PM. So, if you need a coffee fix, you know where to go. A new addition to the food lineup this year is the SunTrust Plaza. 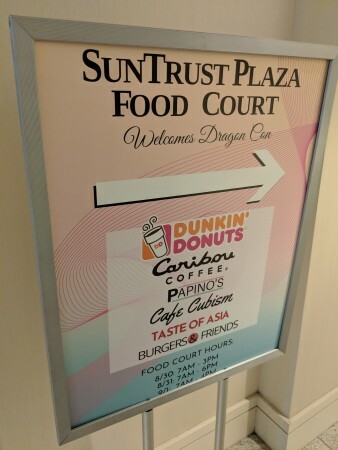 This year, SunTrust Plaza will be opening for the entire weekend to welcome the Dragon Con attendees. On Thursday they will be open 7AM–3PM. Friday you can visit from 7AM–6PM. Saturday they will be open 7AM–4PM. Sunday and Monday, however, they will remain closed. And, of course, there’s a variety of restaurants all around the Downtown Atlanta area within walking distance of the host hotels. 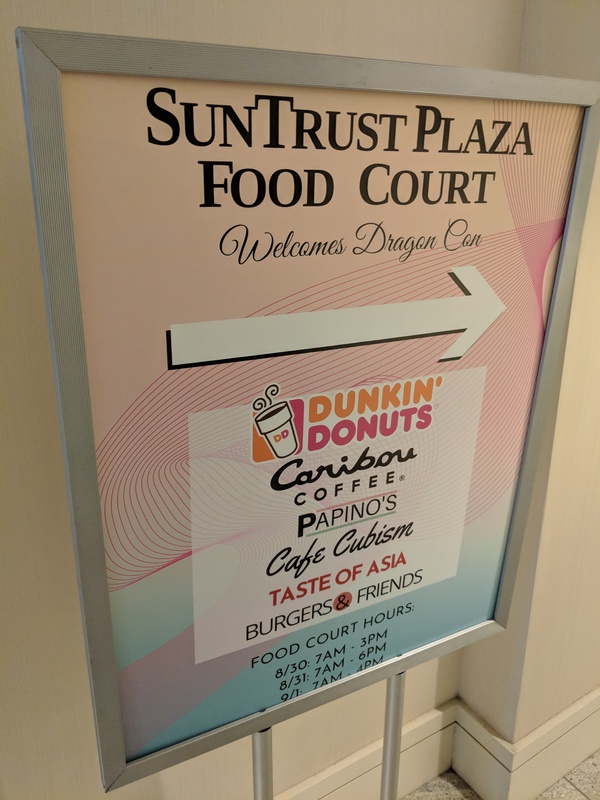 So remember, Dragon Con attendees, keep yourself well fed this weekend!